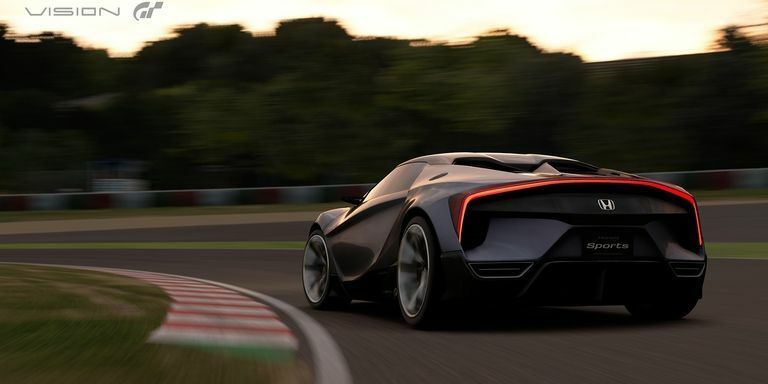 The Vision GT program that has been initiated by the famous racing games named GranTurismo on the Playstation console, continues to attract interest from car manufacturers worldwide. And the latest who interest in this program is the Japanese auto giant, Honda, which recently released a visualization of the Honda Sports Vision Gran Turismo which has also been confirmed will be present in the latest GT Sport game for PS4 game console. 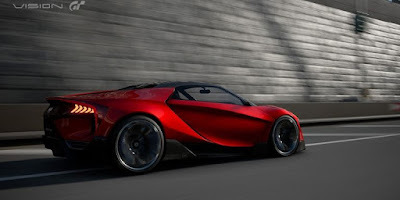 Honda looks serious in the development of their virtual sportscar, because the company invites all of its design house to create a car that became the symbol of the sportsmanship of Honda cars. And the winner is a Honda designer from California, who presents a car with a cursory look similar to the 'junior' NSX, along with a more compact size of Honda's latest supercar. Amazingly, Honda Sports Vision GT is really developed in the Honda's R & D center in Tochigi, Japan, as if this virtual car will actually run on the streets. In fact, rumors of real size Honda Sports Vision GT model was made and tested in wind tunnel in order to test the level of its aerodynamic effectiveness.